Mansour Group is a multinational conglomerate founded in Egypt, with operations across the globe. The company is the second largest company in Egypt by revenue. It is the largest General Motors dealer in the world, and the fifth largest distributor of Caterpillar Inc. products globally. It also has contracts in Egypt to represent a range of international brands, including McDonald’s, Chevrolet, Red Bull, UPS and Imperial Brands. It operates Egypt’s largest supermarket chain, Metro Markets, and the Kheir Zaman discount chain. The company also has a private investment firm, Man Capital, based in London with notable investments including marine logistics firm Vanguard (formerly OTS Logistics), Millennium Offshore Services, which provides services to the offshore oil and gas industry and is now known as Seafox, and Nigerian telecoms infrastructure provider IHS Towers. The subsidiary was also an early investor in technology companies including Facebook, Twitter, Spotify and Uber. In relation to its global partnerships, Mansour has an unparalleled track record of successfully integrating the world's leading brands into a multitude of local territories, consistently delivering unwavering quality in all its ventures. A name synonymous with excellence and family heritage, Mansour epitomizes the model of a successful family business that for decades has been a key player in shaping the Egyptian economy. The Mansours success story unfolded over three gradual phases: establishment and integration into the market; attracting international brands to build successful partnerships with while introducing its own brands to Egypt; and having its eye firmly on the future - fast tracking the group to further success with its strong balance sheets and structured investment strategy. It all began with one man; founder Loutfy Mansour who established the Mansour name as the quintessential example of how an Egyptian family business can burgeon the economy and make its country proud. Starting out in the cotton industry in the late 1940s, Loutfy Mansour had a sharp business acumen that laid the strong foundation on which his sons have lead the company to even further heights of success. The Mansour’s capitalized on this advantage and established companies such as Mansour Automotive Company (MAC) and Mantrac, attracting large international dealerships and making a name for Mansour in both Egypt and abroad. Nearly 70 years after their father’s first steps into the business world, three brothers Youssef, Mohamed, and Yasseen - Mansour’s second-generation entrepreneurs, have lead the company to consolidated revenues of over $6 billion and a workforce of 60,000 employees and operations in 120 countries. Together they have directed the company towards numerous industries, mastering each one with their diverse set of skills: Mohamed, the sharp strategist behind the groups’ expansion outside Egypt; Youssef, the mastermind responsible for Mansour’s exemplar distribution tactics and Yasseen, the keen and strategic investor. In order for more low-income women to have access to financial products than ever before, Women’s World Banking works closely with its global network of 40 institutions from 29 countries to create new credit, savings, and insurance products specifically designed for the unique needs of women. Each of our network members is committed to serving women as clients, innovators and leaders. Women’s World Banking has found new ways to help women build financial safety nets, by showing a broader range of financial institutions how to move beyond traditional microfinance to provide financial products that include savings and insurance. But new products are only part of the story – innovations in technology have increased the number of women with access to financial products; and education has played a critical role in adoption of new products. Our approach to product design always starts with in-depth research – understanding the lives of women so that our product development team can design products that meet the needs of women while being sustainable for the financial institution. We work with the financial institution to ensure that their leadership and infrastructure are able to support both new product introductions and a potentially new market segment. Once a product is launched, we are able to take what we’ve learned and introduce the product to other institutions in other parts of the world. With this global reach, we are able to greatly increase the number of women who can build a stronger financial future for themselves and their families. Sanabel was established in 2002 when 17 representatives from 7 Arab countries gathered in Tunisia to launch the first and only network designed to serve microfinance institutions in the Arab world. At this meeting the group adopted by-laws and membership criteria, articulated a vision, mission and objectives and elected an executive committee. At its General Assembly meeting in December 2003, Sanabel members voted to formalize the organization by registering Sanabel as a not-for-profit organization and to establish a regional office. In 2004, the organization was incorporated and registered as a nonprofit organization in both Atlanta, Georgia, USA and in Cairo, Egypt where the headquarters is located . 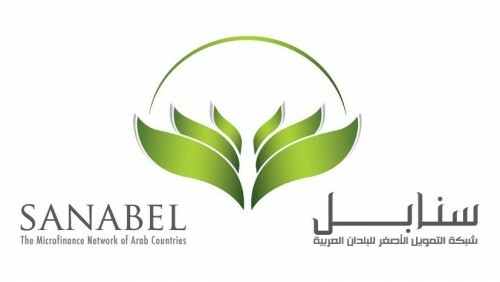 Currently Sanabel has 79 members from 13 Arab Countries. It is estimated that Sanabel members are serving over 3 million clients representing over 80% of the total microfinance clients in the region . Sanabel's vision is to advance financial inclusion in the region through its activities of institutional capacity building, advocacy with all stakeholders and policy makers, knowledge sharing and peer learning, data collection and dissemination, and research.